The U2 from Fallkniven has been billed as the world’s first folding knife which comes with a blade of laminated powder steel which is of course the landmark Super Gold Powder Steel or SGPS. This powder steel is very costly and very difficult to work with since it obviously requires advanced technology which must also be combined with experience in the manufacture of quality knives. One of the main advantages of this type of steel is its outstanding edge retention which means that it is quite incomparable to other implements. The U2’s handle is made out of a strong composite material which makes it quite slim and easy to use with considerable grip into the bargain. This also makes it very pleasant to carry around. Another intriguing feature of the U2 is the fact that its blade has grooves on either side of it thus making it very easy to use for those who are either right handed or left handed. 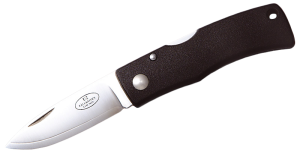 The knife also comes with a traditional lockback function which makes it firm and sturdy with the zytel sheath mechanism another important safety aspect. The blade locks distinctly in an open position with an audible click ensuring that everything remains sturdy and stable. 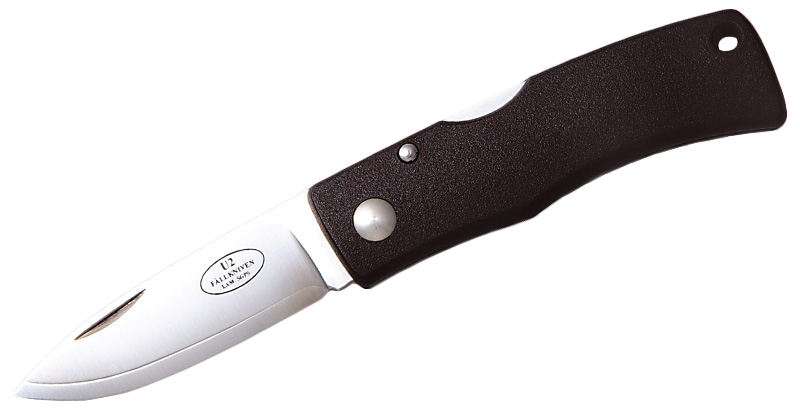 The knife’s dimensions are quite standard being 3.85 inches in length with a Blade length of 2.52 inches. It has a thickness of 2.5 mm ensuring that the blade can cut through practically anything it lays itself upon. The SGPS hardness is the nominal 62 HRC making it practically unbreakable while the lockback mechanism ensures safety at all times. With a little bit of sharpening from time to time, you may keep the edge retention performing extremely well. Additionally you shouldn’t really use the U2 for heavy duty tasks although it performs some outdoor tasks such as harvesting, opening plastic and cutting paper and box materials. The U2’s appealing design gives a new meaning to the classic lock back folding knife.